Let your guy chill out in THE MAN CAVE... a safe haven where the screens are ALL big and all remotes belong to them. This is Man Cave ALPHA Pack. 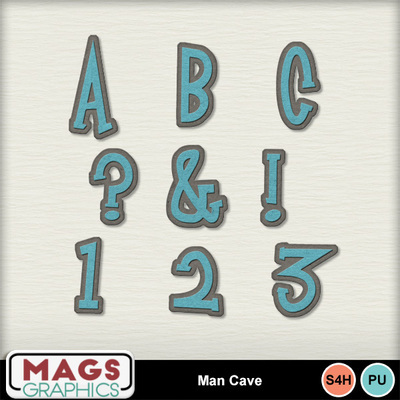 It contains Uppercase Letters, Numbers, Symbols, and Sheets.